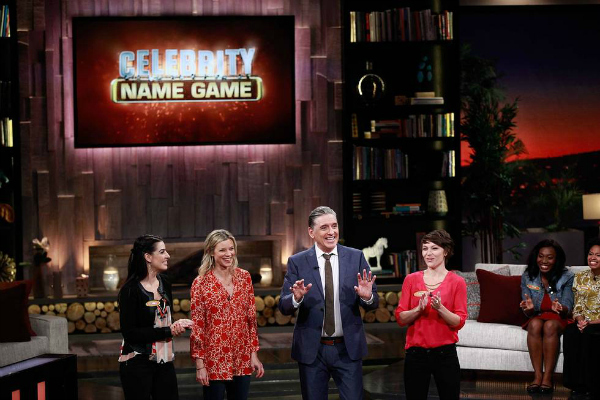 “Celebrity Name Game”, hosted by Craig Ferguson, returns for a second season starting Monday, April 18th (check your local listings). 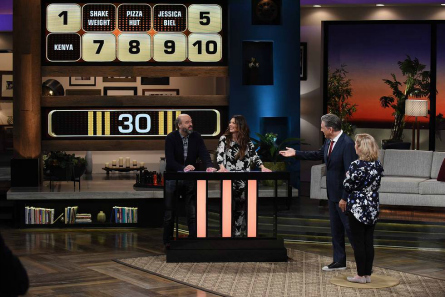 Hollywood Junket was present during a recent filming of “Celebrity Name Game” where we got to watch three back-to-back half hour episodes. The two celebrity guests whom we got to watch during filming of the last two episodes of season two (as it was announced) were Patrick Fabian (“Better Call Saul”) and Kevin Pollak (“Kevin Pollak’s Chat Show”). The third show of that day was the first show filming for season three. It was stated to the audience that Ferguson had made a comment/joke on a political topic the day before and was booed by the audience. Audience crew members told everyone not to “boo” Ferguson and that he got upset by it. The four-round game is played by two celebrities that are paired with two contestants each who play as teams against each other. Each contestant team is typically made-up of two siblings, couples or friends. During round one, one celebrity gives word clues to both contestants on opposite sides that have to guess the correct answers from the clues. Clues can not include a word that is in the answer. Each correct answer is worth $100. Round two is forty-five seconds long. 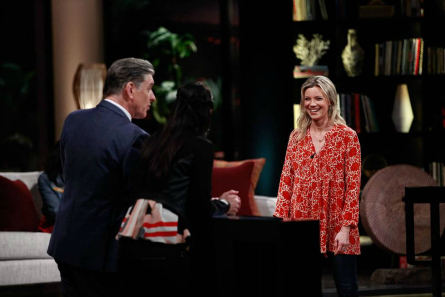 The contestants give clues to each other while the celebrities take a break. The correct answers are worth $200 each. 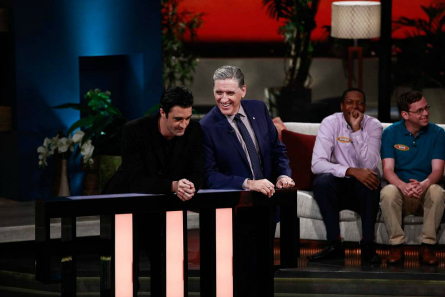 In round three, host Craig Ferguson gives clues in a Family Feud style fashion to members from each team. Both sides switch off. Each clue is worth $100 more than the next. They play this way until one team wins the higher amount. The final round, round four, is worth $20,000. The winning team (from round three) must get a score board of 10 words correctly based on the clues given to each team member by both celebrities. This final round is made-up of two rounds. Much like the final round of “Family Feud”, the first contestant has 45 seconds to get as many correct answers as possible. They are allowed to pass on the tougher clues. The other team member picks-up where the first team member left off in trying to complete the board in 30 seconds. If they get all ten correct, they win $20,000. 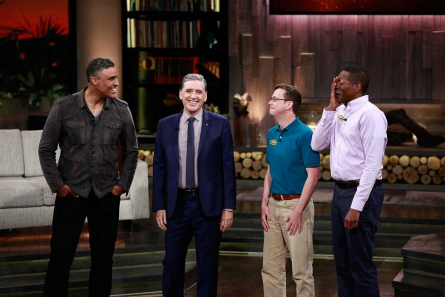 Audiences got to see a sneak-peek of celebrities Kevin Pollak and Patrick Fabian film a mini 30-second round as a promo that will go onto the show’s social media. Pollak gave clues to Fabian in the form of celebrity impersonations that included Christopher Walken, Arnold Schwarzenegger and Jack Nicholson. So the episodes that they are filming this year are part of season 2 as well as season 3. I saw on “On camera audiences” that they were filming in March, April and now they have just added May dates. Does anyone know how long they will be filming this year? I see on the official Celebrity name game Facebook page, that they are still holding contestant auditions for Season 3? Btw, how many episodes do they usually tape wi4h a certain duo for each tape date. Just curious.